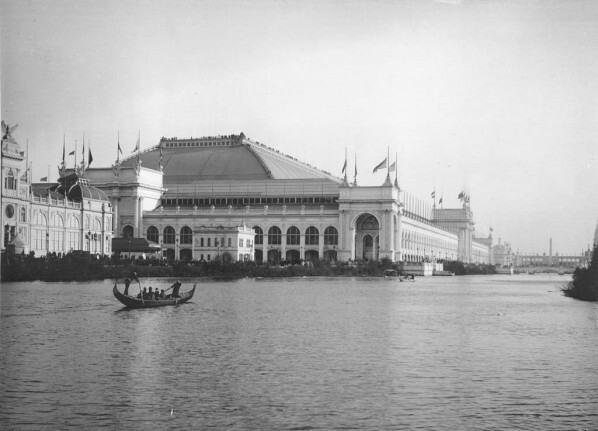 The Electricity Building was one of the most popular of all the buildings at the fair. 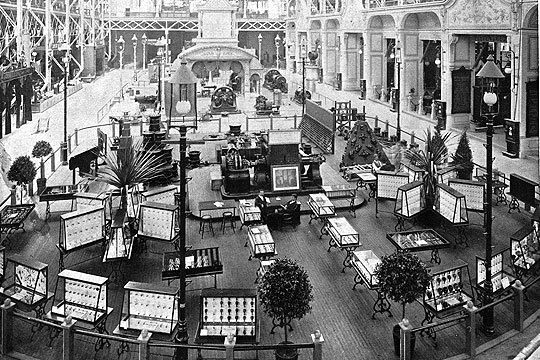 President Cleveland opened the fair, and the visitors saw the introduction of my of the famous electrical inventions of all time. The exhibits showed how electricity could potentially change industry and the homes of people. Electricity was the star of the fair’s Opening Day as President Cleveland officially opened the fair by pushing a golden telegraph that completed a circuit to start the 3,000 horsepower steam engine that powered many of the fair’s attractions. In the Electricity Building, visitors saw the introduction of the telephone, the phonograph, the typewriter, the elevator, electric lamps, sewing machines, laundry machines, and irons. These exhibits demonstrated how electricity could revolutionize both industry and the home. The Fair began the whole debut of consumer products. At the Manufactures Building, there were so many American products. They won medals in product competitions, and that was a great way to win product recognition which also started advertising. 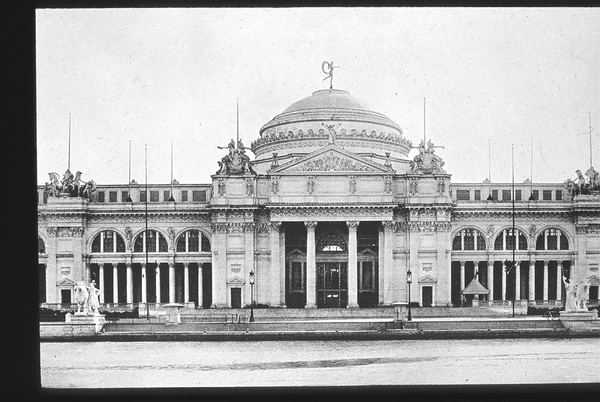 The Manufactures and Liberal Arts Building was a showcase for American products, and showed them to advantage. To debut at the Fair, and possibly win a Columbian medal in product competitions, was a perfect way to win product recognition and a boon for the advertising department--advertisements in the months following the Fair prominently displayed ribbons and proudly pointed out, for example that this product was, "1st place, Bicycle Division." The Fair also introduced picture postcards to the American public, as well as two staples of the late-twentieth century diet--carbonated soda and hamburgers. Much of the main floor in the Agricultural Building was occupied by over 550 American companies and 33 states. There were a bunch of different crops available for display from many states that brought them in. America's finest crops and makings were on show. Over 550 American companies and 33 states occupied the bulk of the main floor in the Agricultural Building to display the "unending variety and untold wealth of our natural resources." Grains from Minnesota, Michigan, Ohio, and Missouri; rice from Louisiana; fruit from California;fine leaf tobacco from Kentucky; and tobacco, peanuts, and cotton from North Carolina filled the display areas. A veritable cornucopia of America's breads, biscuits, sugars, syrups, tobaccos, whiskeys, fruits, vegetables, etc. was on show.